Size: 12.61 x 9.38 x 6.64 mm. 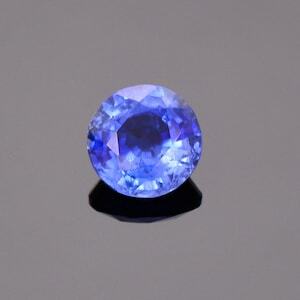 Here is a fine collector’s quality gemstone! This Rhodochrosite is from the famous N'Chwaning Mines in the Northern Cape Province of South Africa. This locality produced some of the finest Rhodochrosite specimens and gemstone in the world. 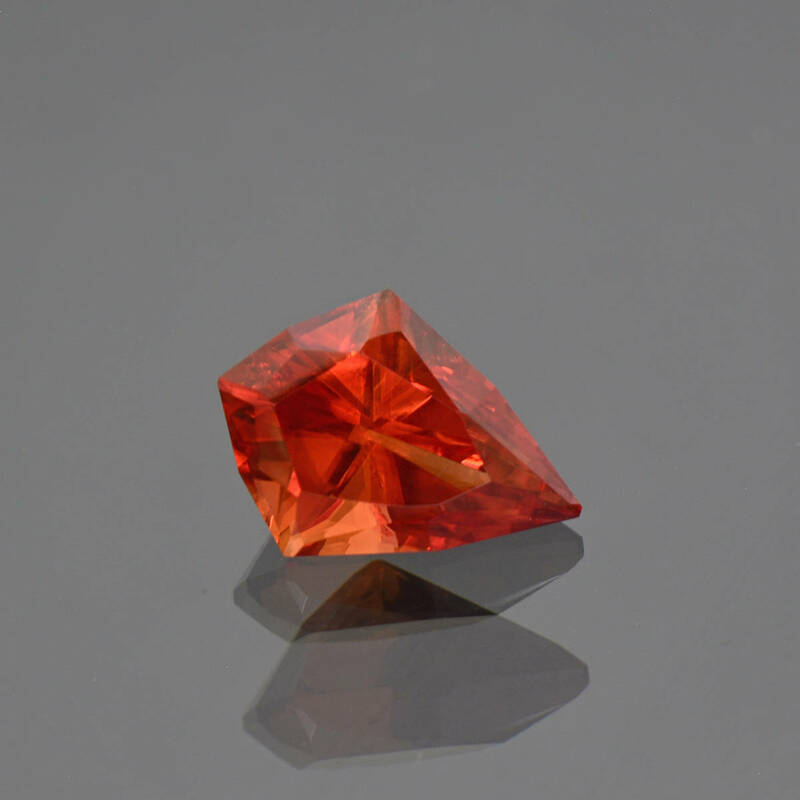 Their iconic red color and sharp scalenohedral crystal forms were highly sought after in the 1970’s and are now prized. The mines did not produce for very long, and all of the material has been moved to private collections. Rarely does a specimen or a gemstone find it’s way back to the market. 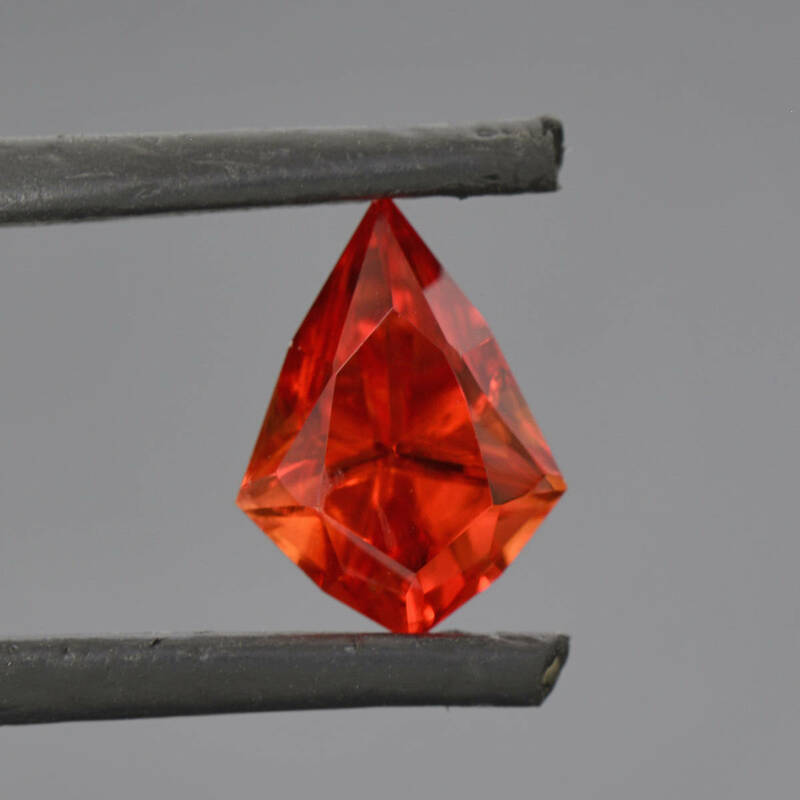 This stone has that iconic red color that is stunning! 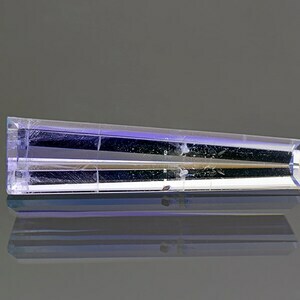 The clarity is excellent and it has that misty appearance that is indicative of this material. 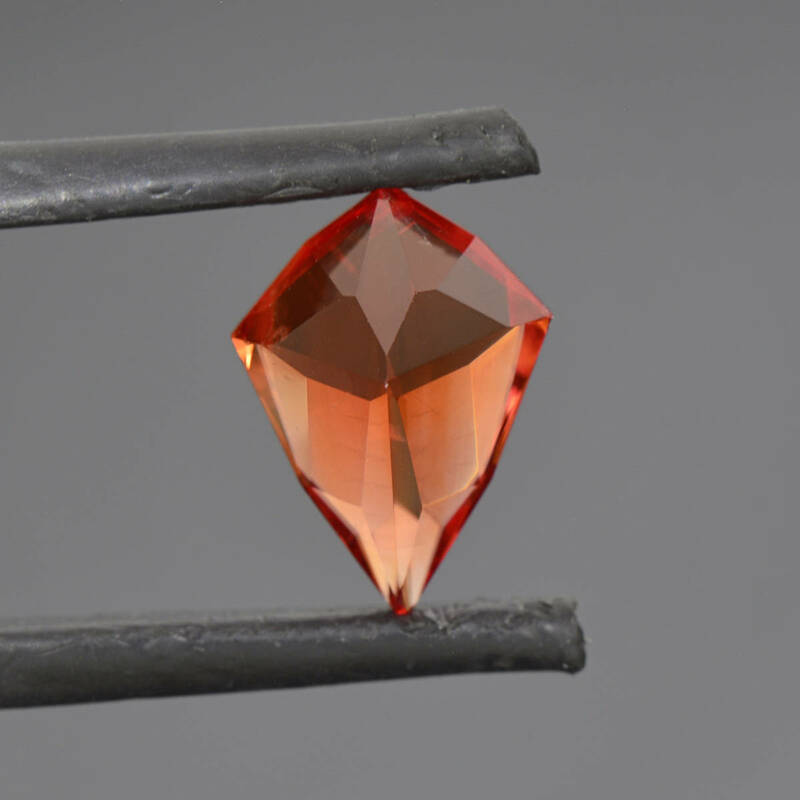 The stone is a great size being over 4 carats, which is exceptional for this quality. 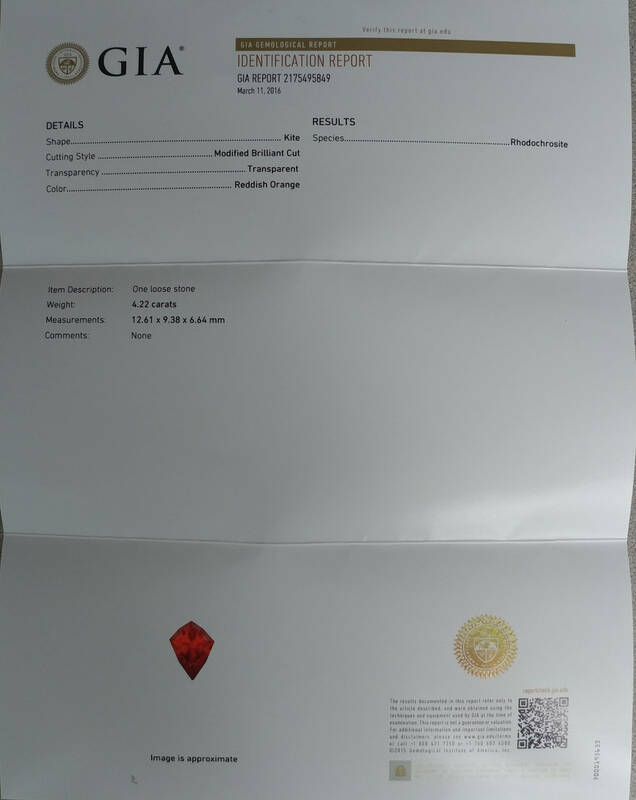 Included with this gemstone is a GIA Identification Lab Report which a great added bonus! 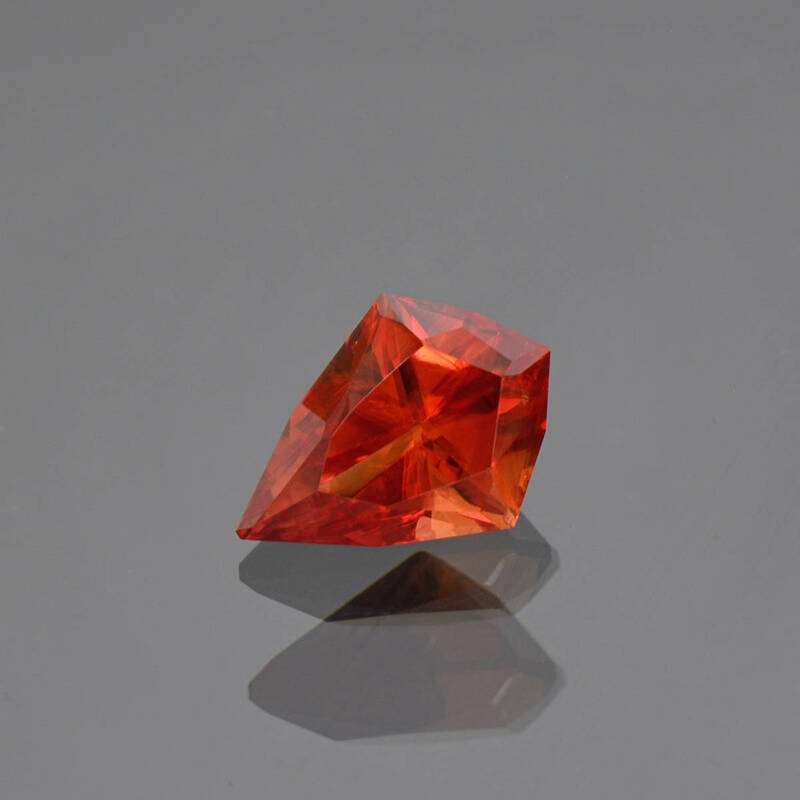 This gemstone is a truly rare treasure and is exceptionally difficult to replace. The exceptional faceting work was done by master cutter Jay Medici, who is the greatest soft stone faceter living, if not of all time. Enjoy! Beautiful Rare Ceylon Blue Kyanite Gemstone from Nepal, 1.61 cts., 7 mm., Round Shape. 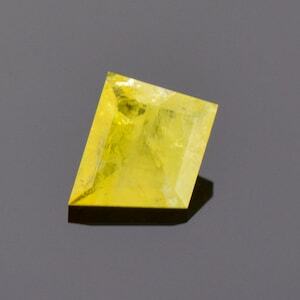 Large Rare Yellow Legrandite Gemstone from Mexico, 1.20 cts., 8.9 x 7.6 mm., Freeform Diamond Shape Cut. 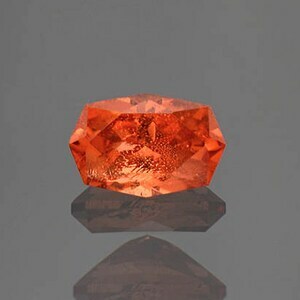 Rare Bi- Color Jeremejevite Gemstone from Namibia 7.27 cts.